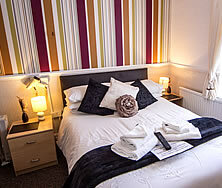 Our quality accommodation comprises single, and double bedrooms, all en-suite. Spacious dining room and separate relaxing lounge. The location is ideal for all amenities including local bars, restaurants, amusements and great nightlife. 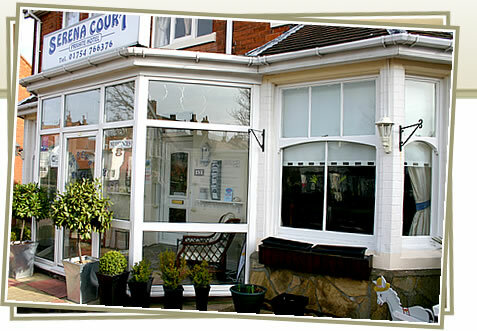 Late season – enjoy the renown Skegness Illuminations, just a few paces from us. For those who do not wish to venture far, explore the gardens of the promenade and secluded sun traps hidden behind South Parade. Need ideas - just contact us - we are here top help. Call now for the latest availability prices and information.